When I started my exploration of the elements I was familiar with earth, air, fire, water, metal, wood and ether/space/spirit. Little did I imagine that down the track I would be reading about consciousness as an element in the Buddhist Dhatu-vibhanga Sutta, also referred to as the Analysis of the Elements/Properties. My first experience of consciousness as an element was when I visited Koyasan in Japan, the Headquarters of the Shingon Esoteric Buddhist sect founded by Kobo Daishi around 815 AD. Koyasan is a remarkable place and the start of the increasingly well-known pilgrimage to, and around, the 88 temples on Shikoku Island, Japan. 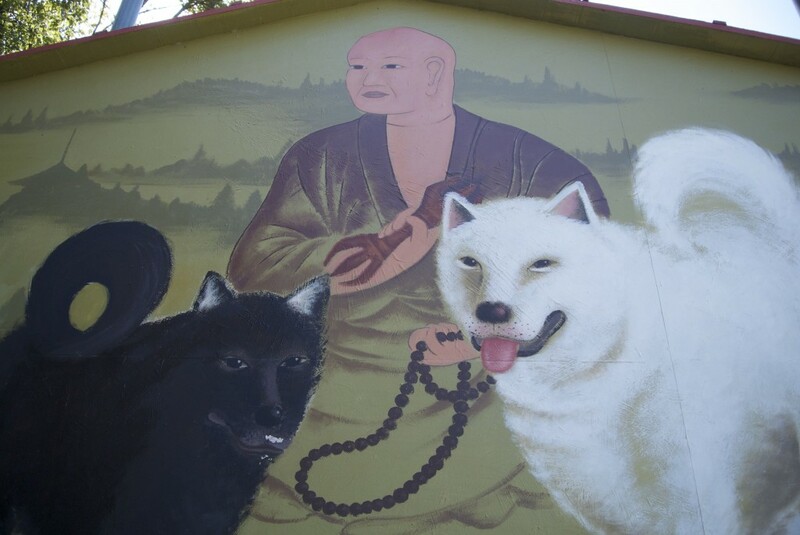 Overall, Shingon Buddhism has over 4,000 temples and missions throughout Japan and overseas. A rendition of Kukai (the name Kobo Daishi was given after his death) searching for a site to build a mountain retreat for the Shingon Esoteric School of Buddhism. 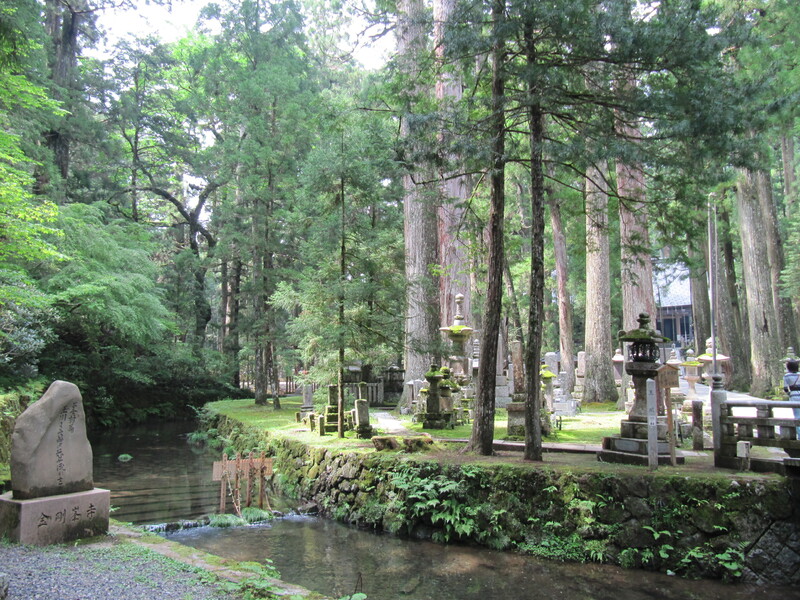 The remarkable site of Koyasan was the result. (Source: Green Shinto). The Headquarters of the Shingon Esoteric Buddhist Sect, Koyasan, Japan. The Six Great Elements are a fundamental part of Shingon doctrine. Kobo Daishi spoke about the expression of the Buddha-Nature through the Six Great Elements (Rokudai): earth, water, fire, air, space and consciousness. In this context the great element of consciousness has been described as the life of the spirit that is in all things and as the functioning of wisdom. In Shingon Buddhism the six elements are seen to interpenetrate without obstruction and be in eternal union. More recently I’ve come across another Buddhist expression of consciousness through the Six Element Practice. This meditation practice, recorded in 2008 by Bodhipaksa of the Triratna Buddhist Order, appears to be a modern interpretation of the Dhatu-vibhanga Sutta. It addresses each of the six elements referring to their expressions within and external to the human body. 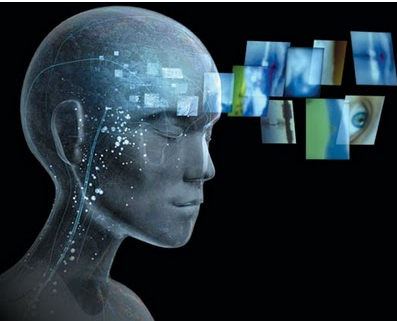 In this context consciousness is described as ‘that which allows the elements to know themselves’ and ‘as the Universe becoming aware of itself.’ It relates to thoughts, sensations and emotions in the body and is different from the physical nature of many of the descriptions of earth, water, fire, air, wood and metal. When searching for images on ‘Buddhism and consciousness’ on Google, this one caught my eye (Source: spiritualnotreligious). The take home message of this meditation practice is that everything that goes up to make the body is borrowed from the outside world and can’t be held/controlled. The elements are just passing through. As such, meditation practitioners are asked to reflect on the words: this is not me, this is not mine, I am not this. At the end of the practice, an invitation is made to continue sitting for a few minutes with an open heart, a spacious sense of awareness and with a sense of wonder. From Buddha’s original description as recorded in the Dhatu-vibhanga Sutta, consciousness as an element has been embraced by different branches of Buddhism. I have lightly touched on two examples – one embedded in the long history of Esoteric Buddhism in Japan, the other from a modern Buddhist Order that studies widely from a range of Buddhist traditions. Both provide much food for thought and contemplation and add to the rich and rewarding world of the elements. Nearly two years after writing this post I found a somewhat confronting performance by Australian Tea Master Adam Wojcinski based on the Mudra of Six Elements (智拳印 chiken-in). The mudra is the characteristic hand gesture of Dainichi Nyorai in Japan. In it the index finger of the left hand is clasped by the five fingers of the right. This mudra symbolizes the unity of the five worldly elements – earth, water, fire, wind, and void – with spiritual consciousness. To learn more about the mudra I direct you to Mark Schumacher’s excellent website onmarkproductions.com. And for a post on mudras more broadly, see my post on the elements at your fingertips. This entry was posted in Aether/Space, Air, Earth, Fire, Japan, Spirit, Water, Wellbeing, Wood and tagged Air, Buddhism, conciousness, earth, Fire, Japan, Kobo Daishi, Six great elements, Space, the elements, Water. Bookmark the permalink. I have not heard of ‘consciousness’ being included or defined as being an element, although I have heard that definition of consciousness, as the universe becoming aware if itself. It’s a very interesting notion to contemplate. I also get the feeling I will have to return to Koyasan in order to appreciate the elemental aspects!